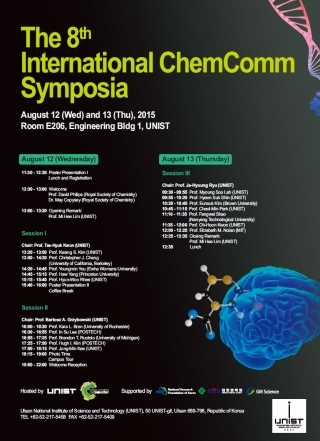 The 8th International ChemComm Symposium, organized by Chemical Communications and the Royal Society of Chemistry is dedicated to the latest developments in Molecular Design and Analysis and features some of the world leaders in the field. The aim of the ChemComm Symposia is to bring together scientists in a stimulating and friendly environment, to highlight excellence in the chemical sciences. We hope that the lectures will stimulate the exchange of ideas and experiences between all participants leading to new friendships and collaborations.